The traditional currencies were the preferred type of exchange for several decades, until cryptocurrency emerged in 2009, with Bitcoin rising to become the undisputed king of digital currencies. Since the code was developed, users and investors have been using cryptocurrencies in their daily transactions, making payments for procured goods and services, as well as for investment purposes. However, some people still have reservations about Bitcoin and other cryptocurrencies. Ilija, a cryptocurrency consultant who assists people to understand how ICOs operate, affirms that most people are still skeptical about straying from traditional currencies and have concerns about the safety and security of online transactions. But cryptocurrencies might have more power than most users conceive. Let’s look at 10 interesting facts about Bitcoin & cryptocurrencies to give more insight into this subject. Cryptocurrencies are founded on the blockchain technology, which is a decentralized digital ledger that updates automatically each time digital transactions are carried out using Bitcoin and other virtual monies. This technology is invaluable in ensuring the privacy and security of the digital transactions, a feature that is a major concern for crypto users and investors. The operation of blockchain technology is fascinating to its developers and companies who have termed it “the new Internet” because of its disruptive nature. Blockchain plays a major role in the crypto world. A key benefit is the elimination of intermediaries who are commonly associated with non-digital transactions. This helps to make them more affordable than the banking models people are traditionally used to, which are known to incur huge transaction fees. The technology makes it possible for miners to verify transactions all the time without any limitation in the number of business hours. This means that the digital transactions can be carried out all day, any day, much to the benefit of users and investors. Blockcain technology is also lauded for the transparency and increased control it offers crypto users, with investors having the ability to agree on the network’s direction through peer-to-peer arrangements. The other upside of this innovative technology is that it is not restricted to the financial sector. Blockchain has now been adopted in agriculture, tourism, real estate, just to mention a few. The price of bitcoins and cryptocurrencies vary hourly or daily. The cryptos are not traded on a central exchange but are bought and sold in different locations globally. Their volatility makes them unsuitable for conservative investors whose discomfort is triggered by huge price variations within short periods of time. For example, during the last six months alone, Bitcoin has experienced four quite severe price corrections that accounted for 20% of its value. Unlike traditional forms of currency, digital currency is not regulated by any government or central authority. This means the fundamental factors from which the intangible currency derives its valuation are not fixed. And due to its volatility, it is difficult to estimate the worth of Bitcoin as the price has huge variations and it has no physical ties from which to draw evaluation. 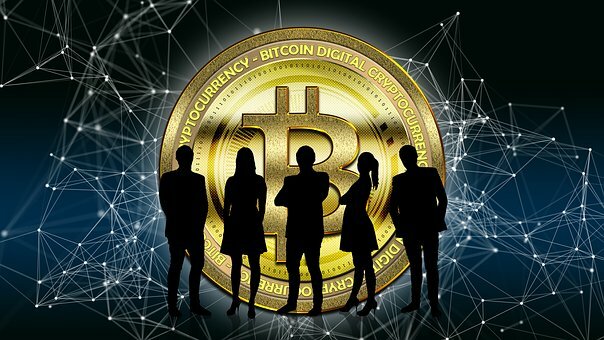 Crypto miners are the team of experts who ensure transactions on the networks are accounted for and verified using powerful computers and tools that solve the complex equations passing through blockchain technology. As each transaction is completed, miners log their footprint and receive virtual tokens as rewards. Cryptocurrency mining and the process of virtually verifying transactions on the blockchain can be quite expensive due to the number of resources involved. However, as the crypto craze catches on, mining companies and developers are launching and releasing Advanced Micro Devices which are aimed at hastening the cryptocurrency mining process. Decentralization allows information to be updated and stored in real-time on digital ledgers that are spread across the globe. This makes it impossible for criminals to identify and attack a central point of failure to gain access to the network and control users’ information. Bitcoin and other cryptocurrencies don’t rely on an individual server, and with the use of the blockchain technology, the transactions’ security and transparency are assured. The blockchain is not the ‘be all, end all.’ Despite the confidence that the disruptive technology arouses, it has its limitations. The technology behind blockchain is still a work in progress and has its imperfections such as unexpected outages and lag phases during development. The operations of blockchain technology in enhancing security for financial institutions such as banks are not guaranteed despite the fast transactions associated with the digital ledger. Bitcoin is the most popular digital currency in the crypto universe. Nonetheless, due to the lack of barriers to entry for companies in the financial services sector, there are more than 1300 other virtual tokens with a capitalization exceeding 1 billion dollars available for purchase. Since low overheads characterize the launch of new cryptocurrencies, the ICO craze has caught on with financial services companies taking advantage of the inexpensive setup opportunities. Due to the blockchain technology, numerous cryptocurrencies have been set up with an estimated 50 to 100 new coins being launched monthly. In 2017, there were more than 1364 tokens available in the market by December, an increase from 1000 tokens by July of the same year. For example, Education Tokens (LEDU) is a token that was created to support the idea of decentralized learning based on the Ethereum ERC-20 standard. Despite the crypto craze that has taken the world by storm, cryptocurrencies are not universally acceptable with some governments holding their reservations about them and others banning their trading altogether. In the interest of public safety, these countries are wary of the coins due to their decentralized nature and the lack of regulation. Some countries where bitcoins and other cryptocurrencies stand outlawed include Morocco, Bolivia, Nepal, Ecuador, Kyrgyzstan, and Bangladesh. The number of countries banning the digital coins is expected to grow. Bitcoin and its derivatives are yet to catch the attention of the wider global population. Currently, most people are unaware of digital currencies and don’t have even a basic understanding of how they work or the amount of potential they carry. Even fewer people have heard of the blockchain technology, and for those who have, they believe the concept is too complex to comprehend. In short, financial literacy is still very low, and if more people are to participate in ICOs, then a lot more education is needed. Satoshi Nakamoto, the ghost founder of Bitcoin, had a noble idea that disrupted the digital space the same way Netflix disrupted the movie world. Despite the limitations, cryptocurrencies and blockchain technology have the potential to change how we do business today and for decades to come. However, some critics believe that Bitcoin is just a big bubble that is soon bound to burst. As we continue experiencing the benefits of cryptocurrencies and their usage becomes more prominent, the voices of the naysayers are likely to continue diminishing. Do you know of other facts about Bitcoin and other cryptocurrencies?